To be able to actually hold your cup of tea without using your toes... Do you know how hard it is to drink tea with your toes? Neopians from all around have pondered why the Techo Master avatar has been "the chosen one". 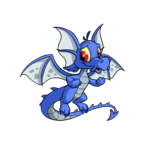 Why this avatar alone was the one that The Neopets Team decided to put right next to the Avatars/NeoSignature board (also called the AC for short). Obviously, they must have known that this would become the image describing the picture we see in our heads when we merely think of the board. So... why THAT avatar? I'm here to try and help you get past some of those rather irritating later levels in Shapeshifter. For those who haven't played this interesting (but at times deeply frustrating) puzzle game, it simply involves placing pieces on a board which "flips" the signs on the board. If you end a level with all the correct signs, you move on to the next level. Sound easy? Well, with only a little brainache it's not too bad at first! I love collecting the items, at least just to love, and I've found that after perusing the mall over and over again, and charting every new release with a peek and a test, I've grown to be quite the NC mall expert! (Or, at least I hope to be.) Now that we're rolling around into Year 11, I feel it's time to look back on the NC Mall, and everything it has brought us! So here it is, my list of amazing NC Mall items of Year 10! Ready For The Lunar Festival? Poor Imez! At least now people will understand his dislike for the holidays! "Today's the concert, Rose!" exclaimed the Yurble at the breakfast table. "It's pretty exciting. I've never been to a concert before."